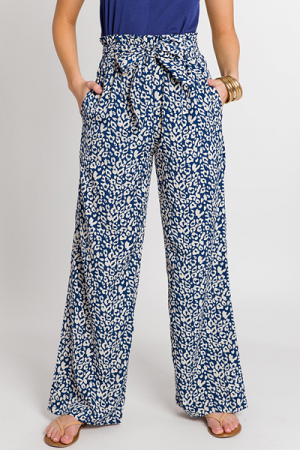 These pants are the perfect choice for spicing up a a neutral wardrobe! 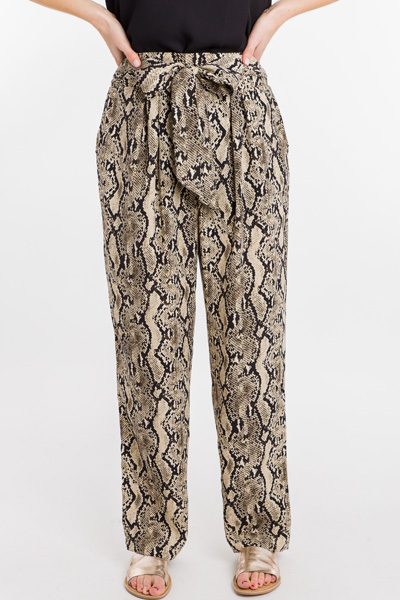 The trendy snakeskin print will be a great pair with any simple basic, during any season. 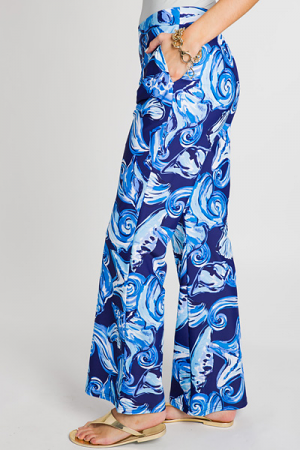 Waistband is smocked across the back with an adjustable tie in the front.